Feeding weanlings high-quality protein can reap benefits for muscle and bone growth, a Finnish study has shown. 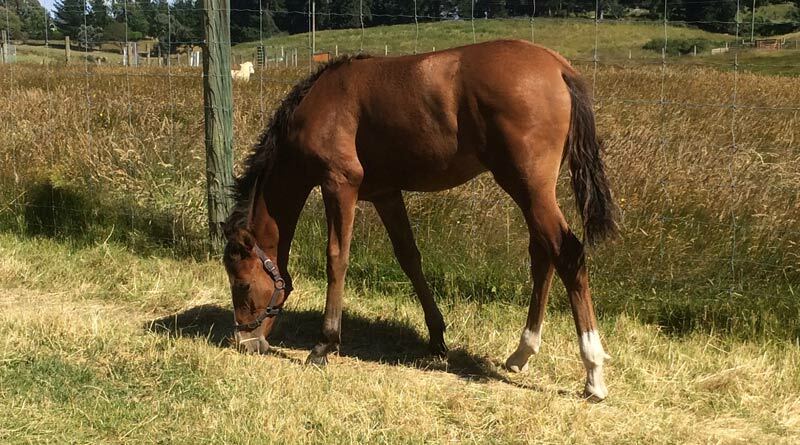 It is crucial for weanling foals to be fed a balanced ration with high-quality protein. Protein quality is the proper amount and ratio of essential amino acids. Research from Finland shows the value of feeding a high-quality protein to weanlings. Two groups of seven-month-old weanlings were fed the same timothy hay and oats, but different protein supplements. One group was fed a high-quality protein milk powder. The other group received a poorer-quality barley protein. Both diets met the energy and crude protein requirements of these foals. The study lasted five months until the foals were 12 months old. The milk powder ration was higher in the amino acid’s lysine and methionine than the barley protein. So, the high-quality protein group had a lysine intake of 17.8 grams from milk powder, compared to only seven grams from the low-quality protein barley per day. But, the total protein intake was not different between the two groups. Protein quality influenced average daily gain. The foals fed the higher-quality protein gained about 0.3 pounds more per day than the foals fed the lower-quality protein. The weanlings fed higher-quality protein had more growth of their longissimus dorsi muscle and the circumference of their cannon bone than those fed the lower-quality protein from seven to 10 months. Circumference of the forearm and body length were also slightly greater in the high-quality protein fed weanlings. The greater circumference of the forearm was probably because of an increase in muscle. There was no difference in height nor chest width between the two groups. And, the quality of protein had no affect on closure of growth plates. The blood level of the amino acids lysine, methioine, and valine were higher in the high-quality protein fed weanlings. Hemoglobin and packed cell volume were higher in high-quality protein fed weanlings, especially from weaning to 10 months, then declining afterwards. The daily weight gains for the poor-quality weanlings were below normal. Increased weight gain, growth of the longissimus dorsi and cannon bone were due to a greater intake of essential amino acids and better use of the dietary protein. Weanlings fed the high-quality protein received adequate lysine, while the weanlings receiving the poorer-quality protein did not. Lysine is the most growth-limiting amino acid for young, growing foals. An adequate intake of lysine reduces the crude protein needs. Lysine has also been shown to increase bone density. These results indicate that high-quality protein promotes proper weight gain as well as skeletal and muscular growth in weanlings. And, it is also good for the blood parameters and health of growing foals. Some owner’s use anabolic steroids thinking they will cause greater growth and muscling. But instead, they should feed a balanced ration with high-quality protein and avoid anabolic steroids, which have severe negative side effects.